This novel by Shyam Selvadurai is an unconventional exploration of the immigrant experience. 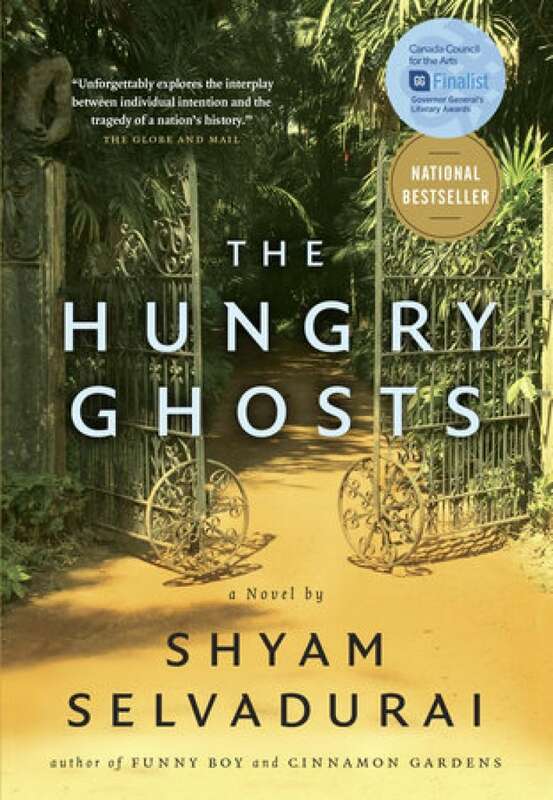 In Sri Lankan myth, a person who dies may be reborn a "hungry ghost" — a ghost with a large stomach that can never be filled through its tiny mouth — if he has desired too much during his life. It is the duty of the living to free the dead who are doomed to this fate by transferring karma from their own good deeds. In Shyam Selvadurai's masterful new novel, Shivan, a troubled young man of mixed Tamil and Sinhalese ancestry, is preparing to travel from Toronto, Canada, to the land of his childhood, Sri Lanka, to rescue his ailing grandmother and bring her back to die. But on the eve of his departure — as Shivan meditates on his turbulent past, recalls his gradual discovery of his homosexuality, and wrestles with his complicated relationship with the wily old woman — he discovers just how much his own heart's desires are entwined with the volatile political, racial, and sexual mix of Sri Lanka's past and present. In the end, Shivan must decide: will he rescue his grandmother, or join her?